A lot has happened since 2008. In that time, athletes have competed at five more Olympic games, the first licenses for driverless cars were granted in the U.S., and Americans have elected two different presidents. Unfortunately, we've also experienced a steady rise in the obesity rate in the U.S. from 33.7% in 2008 to 39.8% in 2016. This upward trend is alarming because people becoming more obese—and sedentary—across America has substantial consequences. "We can attribute 10% of all-cause mortality in the United States to not doing enough physical activity and $117 billion in healthcare costs," says Katrina Piercy, Ph.D., RD, ACSM-CEP and lead for the 2nd Edition of the Physical Activity Guidelines for Americans, which was released by the Department of Health and Human Services in November 2018. The new guidelines have not changed the amount of physical activity someone should get in a day—that magic number is still 150 minutes a week for adults and 60 minutes a day for kids under 17 years old. But the new guidelines do expand what can count towards activity. In short, they encourage people to move more and sit less. The thinking is that doing something—even light activity—is better than nothing. Of course, moderate to vigorous physical activity is still ideal. Under the previous guidelines, you had to move for at least 10 consecutive minutes for that activity to count toward the 150 minute goal. Now, any amount activity counts. “We looked closer at the data and realized that 10 necessarily wasn’t a magic number and even doing small amounts of physical activity have tremendous health benefits,” says Piercy. The thinking behind this adjustment is that since most Americans today work sedentary jobs and live much more sedentary lives, any type of movement is better than no movement. There is a path to getting Americans more healthy if we focus on the physical activity. Piercy says, "Let's start with getting people more physically active because even if their weight’s not changing, there’s tremendous health benefits." Research has shown that support can make a huge difference in helping people stay motivated to exercise. 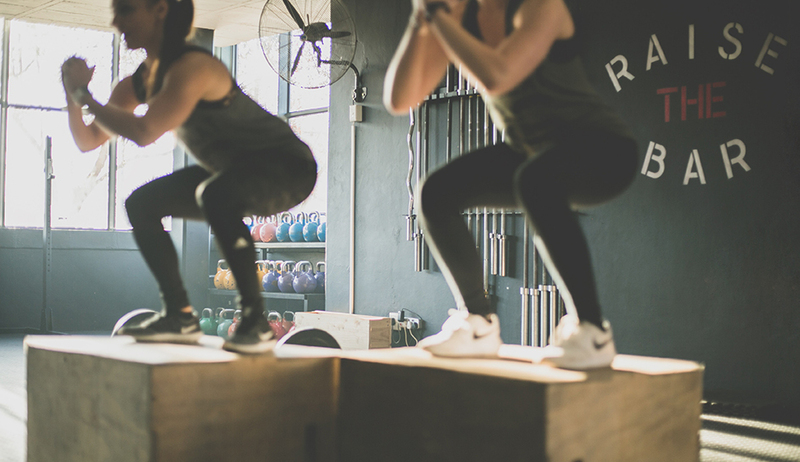 Consider implementing a workout partner program to connect members with similar schedules to keep them accountable and aid in retention rates for your club. Education can also help get more people moving. There is no magic pill to reduce the risk of disease, but exercise is the next best thing. Inform your members that exercise can reduce the risk of many noncommunicable diseases and is an assured way of helping people age better and living overall healthier lives. Piercy says if we had a pill that could provide us with all the benefits exercise can, then everybody would be taking it every day. Use your staff to educate club members on these guidelines to help keep them moving and coming back to the club. Consider hanging up signs with information about the guidelines to help teach your members. Wearable fitness trackers can be a great way to set up challenges for your members. Everyone loves a little friendly competition and you can always use incentives to get people to buy in as well. If your gym utilizes an app, consider showing members their average attendance or check-ins to encourage them to come back. You can also try to gamify your members’ attendance with a challenge of some sort. Keeping your members motivated can also help build a sense of community in your club. If your members stick with a routine, they will see almost immediate results beyond weight loss. Piercy says individuals will realize the health benefits of regular exercise practically right away. For example, they may experience improvements in anxiety, blood pressure, insulin sensitivity, and sleep quality. Those are just the immediate benefits of regular exercise. The long-term health benefits are even greater with a laundry list of diseases that exercise can help prevent, such as cancer and dementia (including Alzheimer's disease). There is also a reduced risk of all causes of mortality like heart disease, stroke, blood pressure, Type 2 diabetes, bone health, and physical function. Almost everything you can think of has a connection to physical activity. Piercy says in addition to physical health benefits of exercise there is now more information in the guidelines on how it affects the brain, especially in regards to academic achievement. Key findings between disease prevention and brain function can help push us towards greater policy change in our world today. Emily Gluck is IHRSA's Executive Assistant. On average her job consists of scheduling, supporting the executive team, and planning events, while the best part of her job is getting to work with a great team on a daily basis. If Emily is out of the office you can typically find her kayaking, hiking in a national park, or rafting on a remote river (ideally she likes to get out of cell phone range).